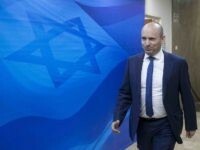 The New Right party on Thursday said it would demand a recount of its votes as it emerged that it had fallen just short of entering the Knesset, after all votes were tallied but with a review of the vote-count process underway. It seems everyone has caught the same bug. In the past hour, the left-wing Labor party, the Haredi United Torah Judaism party and the far-right Union of Right-Wing Party have all repeated their claims that they’re headed for “collapse” at the polls. TEL AVIV – Prime Minister Benjamin Netanyahu vowed over the weekend to annex West Bank settlements if he is reelected in Tuesday’s elections. The incumbent prime minister also said he had told President Donald Trump that would not evacuate “a single person” from the 400,000 or so Jews residing in the West Bank. 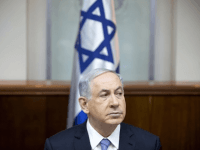 The legal fraternity – Israel’s unelected government – may prevent Benjamin Netanyahu from forming a government even if he wins the elections. 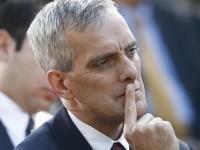 White House Chief of Staff Denis McDonoough earned raucous cheers from the left-wing activists gathered at J Street’s fifth annual conference in Washington, D.C. on Monday when he attacked Israel’s occupation of the West Bank. “An occupation that has lasted almost 50 years must end,” he said. J Street was founded to disrupt the close U.S.-Israel alliance and to serve as an alternative to the American Israel Public Affairs Committee (AIPAC), the powerful pro-Israel group. 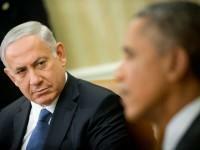 Why Can’t Republicans Beat Obama Like Netanyahu Just Did? Conservatives are thrilled that Netanyahu stood up to the president–who has openly defied the American electorate and the U.S. Constitution–and won in a landslide. The question that remains is why Republicans have failed to do anything like what Netanyahu has done, from a far weaker position. 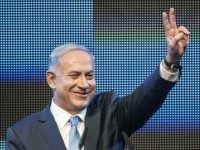 Israeli Prime Minister Benjamin Netanyahu has apparently defied the mainstream media and the Obama administration with a stunning, come-from-behind victory in Israel’s elections on Tuesday. Netanyahu’s Likud Party had been projected to lose to Isaac Herzog’s Zionist Union by a margin of 26-22. 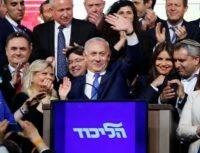 Two exit polls released at the close of voting, however, suggested Likud would win, 28-27 (a third poll showed them tied). 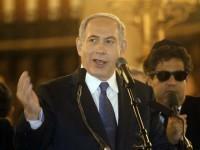 Netanyahu is now expected to form a new governing coalition. 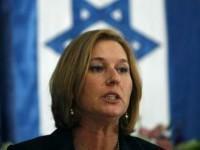 Israelis head to the polls on Tuesday, Mar. 17 to elect a new parliament, a new Knesset. There are a total of 120 seats up for grabs, which will be divided proportionally among all parties that manage to pass the minimum threshold of 3.25%. The resulting government will be formed after the ceremonial President of Israel, Reuven Rivlin, chooses a candidate for prime minister to assemble a coalition (61 seats or more). Here are five other important facts to know about Israel’s election. Israeli Prime Minister Benjamin Netanyahu returned home Wednesday to positive reviews of his speech in Congress the day before. If it had been his intention to use the event to boost his campaign, however, he made little impact, enjoying a modest bump in the polls, at best. In one poll, the speech received rave reviews, with 44% of respondents saying it boosted their opinion of him, versus 12% who said it hurt their image of him. However, his Likud party was still in second place. On the eve of his historic, controversial, and critically-important address to Congress next week, Israeli Prime Minister Benjamin Netanyahu faces a small-ball political barrage in Israel. His party, the Likud, lost a challenge against a U.S.-funded left-wing group, V15. The Prime Minister is being investigated for allegedly pocketing the deposits on beverages served at his residence, and his rivals are blaming him for rising housing prices in Israel, documented in a new report. Despite a supposed White House policy against meeting foreign leaders facing elections, Vice President Joe Biden and Secretary of State John Kerry both met with Israeli opposition leader Isaac Herzog in Munich on Saturday. Herzog is the main rival of Israeli Prime Minister Benjamin Netanyahu in the Mar. 17 election, and his supporters played up the meeting as evidence that Herzog is more respected by the Obama administration and world leaders in general than Netanyahu. 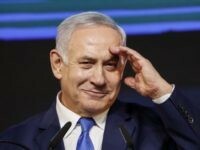 Israeli Prime Minister Benjamin Netanyahu may have secured his re-election in March with a strong display on the world stage at last weekend’s anti-terror march in Paris. 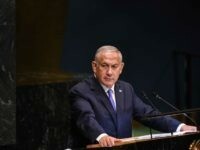 Though his critics on the left accused Bibi of exploiting the tragedy, and said that he drew attention to himself, Netanyahu bolstered his image as a world leader, and a steady hand in turbulent times. 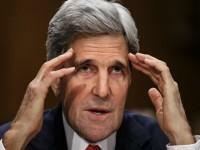 With the Obama administration absent from the march, he also–once again–struck a contrast in Israel’s favor.